Create a better future for you and your loved ones. Let us unlock your body’s full potential with natural, safe and effective chiropractic care. 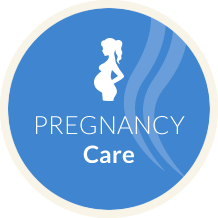 Our state-of-the-art approach allows your health to flourish! 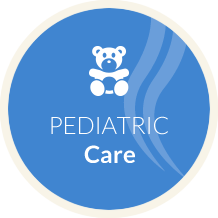 You and your children deserve a health care practitioner who will work tirelessly to benefit you, making every effort to ensure that your family can live their best life enjoying optimal health. Chiropractor Orem Dr. Spencer Erickson is passionate about boosting the well-being of everyone in our community, including our beloved moms and children. Your spine is the core of your body, from the neck to the tailbone. The spine stabilizes your whole body. To be flexible and functional, it is made up of many bones. Between every spinal bone (vertebra) there are flexible pads, called discs. Your nerves pass from the spinal cord past the spinal bones and discs into your body. Since the spine is the core of the body, and it is flexible, it can become stressed and misaligned. When this happens, it frequently irritates your nerves, sending pain and injury signals to your brain. These cause your brain to go into a protective state of “fight or flight.” So spinal mis-alignments (called subluxations) not only cause pain, but can also stimulate a stressful state in your nervous system. The spine is very sensitive to these mis-alignments. That’s why spinal injuries can cause us to think irrationally, worry too much, become anxious, negatively affect your energy, become moody, or even feel low. Even after your pain is gone, injury signals can still stimulate your brain to stay in this stressful state for years and years until the injury is fixed. If you have spinal injuries, we will work to find them and help you fix them as comfortably, quickly and efficiently as possible, and keep your spine healthy for as long as you want. Because it’s all about you. Same-day appointments are available. 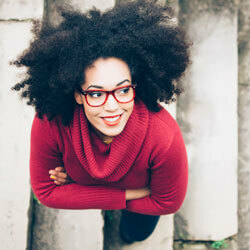 Take advantage of our Internet special offer: $25 for a consultation and examination! Contact us today to get started. Great place! 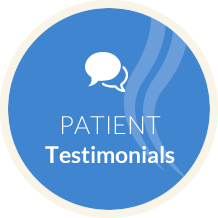 All the staff are friendly and helpful, Dr. Erickson really knows his stuff and takes time to help each and every patient. I feel like a person whenever I come here, not just a number! Dr. Erickson is awesome; he really takes the time to figure out where the pain is and so far the adjustments are working wonders. I just wish I had started 2 years ago before I ended up needing neck surgery. Thanks! One of the best chiropractors I’ve been to! Results are phenomenal and it works well with my student and work schedule! I’ve had asthma for ten years and I eventually got to the point where I needed a rescue inhaler several times a week, prompting my doctor to add a daily inhaler to my regimen. 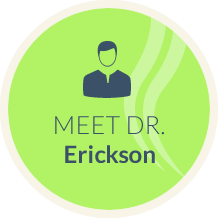 I started coming to Dr. Erickson for treatments after a car accident and discovered that I didn’t need my inhaler anymore to keep my asthma under control. Chiropractic really works! Best Chiropractor ever! I love the staff! Love how personable and friendly they are, besides all of the wonderful adjustments that I have gotten and how much I have improved. Love the enthusiasm and great environment. Will send family and friends their way. I love all the people that work here! They are the best! Dr. Erickson has completely changed my life! I don’t have to be in pain anymore! You won’t find a better chiropractor or a nicer guy! I’ve been to quite a few chiropractors in my time. Dr. Erickson and his methods actually make a difference. His goal is to fix the issues, not just keep you coming back indefinitely. He and his staff are friendly and courteous. Not the closest chiropractor to us but definitely worth the drive! I love this place. My wife and I have been going regularly for almost a year for the chiropractic adjustments. The staff is friendly and very welcoming in addition to Dr. Erickson, the chiropractor. Again, great staff, great service. Worth looking into.